Welcome to the WikiAfrica movement newsletter! Wikimedian activity across Africa has reached epic proportion during 2017 … just some of these activities are detailed in this newsletter. While this newsletter is compiled by Isla Haddow-Flood and Florence Devouard at Wiki In Africa, the newsletter covers details of the activities of Wikipedians across Africa as a whole. Wiki Loves Africa 2017 visually celebrates the many faces of Africa. This year the them concentrates on People At Work. Entries close on 30th November. Wiki Loves Africa 2017 celebrates People at Work this October and November! Wiki Loves Africa, Africa’s most popular photographic competition is back for the fourth year under the theme People at Work. The People at Work theme encourages photographers (hobbyists and professionals) across Africa and beyond to document the full gamut of occupations that take place across the African continent … the usual and unusual, the banal and the extraordinary, the formal and the informal, contemporary or ancient, business-oriented or creative. There are special prizes for photo essays that capture Women at Work and Rare and Endangered Work Practices. Organised by Wiki In Africa, the Wiki Loves Africa competition encourages people to add pictures of Africa to the Wikimedia Commons collection. By adding them to Wikimedia Commons, this means that images of Africa and it’s people can be found by all people around the world (especially those on the continent) and ensures that Africa’s stories are told. The top prizes range from US$600 to US$200. >> Read how to enter and more here. Through the WikiChallenge African Schools competition, primary school children in Guinea, Madagascar, Mali, and Tunisia are learning how to write articles about their local environment and cultures on Vikidia. Vikidia – an online encyclopedia aimed at 8-13 year olds – is the little sister of Wikipedia. The WikiChallenge contest is aimed at primary schools and pupils aged 9 to 11 that are part of the Orange Foundation Digital Schools network. The contest runs from the 1st October to the 30th November 2017, with the resulting articles being integrated into Vikidia over December 2017. WikiChallenge African Schools was conceptualised by Wiki In Africa’s Florence Devouard and Isla Haddow-Flood and is being operated in collaboration with the Orange Foundation and Wikimedia CH. WikiChallenge African Schools and the WikiFundi platform and the documentation for both projects is licenced under CC-BY-SA 4.0. 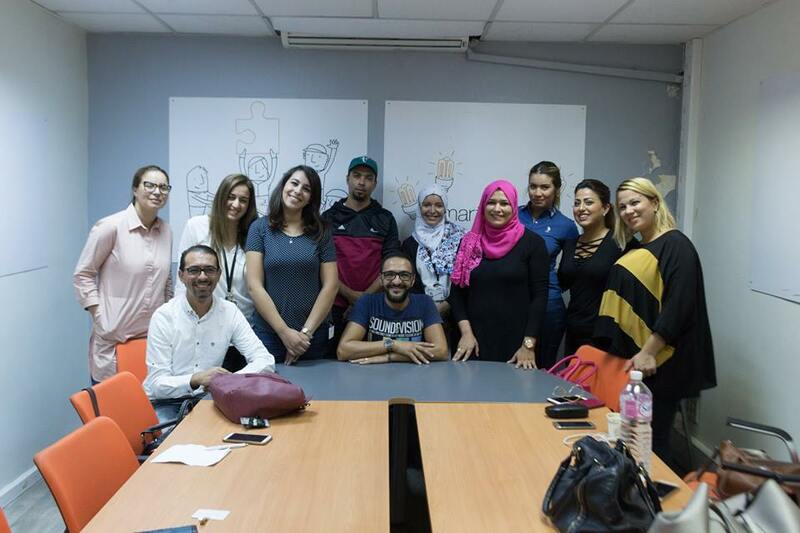 Workshop in Tunisia, co-organized by orange and wikimedia Tunisia, as part of the Wikichallenge Écolesdafrique contest! 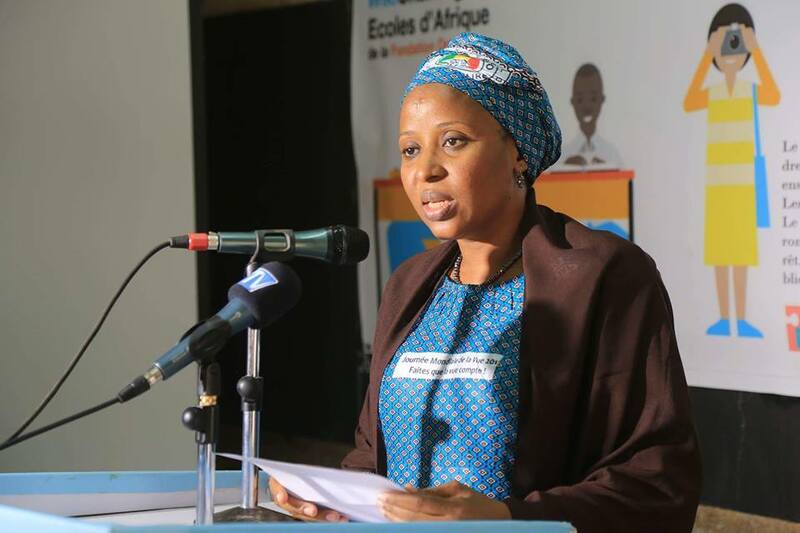 The official launch WikiChallenge African Schools contest in Mali took place on Thursday, 12 October 2017 at the école place de la république. 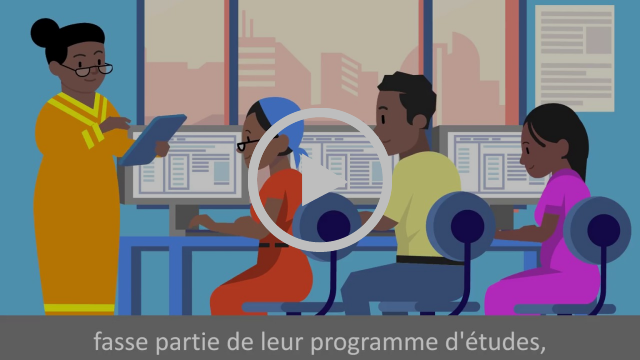 WikiAfrica Schools has launched an amazing video to explain the need and concept behind the project. WikiAfrica Schools assists schools in teaching students how to write curriculum-relevant articles for Wikipedia. Students, in turn, learn how to research, analyse outcomes, collaborate, write articles relevant for a global audience and develop the technical and editorial skills necessary to add content on local subjects to Wikipedia. WikiAfrica Schools uses WikiFundi, the offline editing environment that mimics the experience of editing Wikipedia, to get around the lack of stable internet access and the need for a staging process from drafting to uploading. The project is in a pilot phase in South Africa, and is a Wiki In Africa project created in collaboration with the Moleskine Foundation. >> Read more on Wikipedia. In October 2016, the Africa Destubathon organized on the English Wikipedia saw over 2000 improved articles about Africa. As a direct outcome of this success, the Women in Red World Contest will be held during the month of November 2017. The contest focuses on creating new biographies of women for every country on the planet and every field of occupation. It is all about creating diversity of content, ensuring widespread coverage and tackling systematic bias. This sub-part of the contest focus more specifically on African feminists and is co-organised by Wiki Loves Women and Les sans pagEs. >> Join the Women in Red contest in November! Add names of activists you think should be celebrated here and get involved! Wiki In Africa non profit association is launched! Wiki In Africa was founded in November 2016 by five Africa-dedicated women Iolanda Pensa, Florence Devouard and Isla Haddow-Flood, with Emma Kaye and Rachel Zadok as board members. It was officially registered as an NGO in March 2017 in South Africa. Its aim is global access for all to open knowledge that reflects the diverse cultures, biodiversities, peoples, and histories of the African continent with the same depth and breadth as other knowledges. It does this by empowering and engaging the people of Africa and its diaspora to collect, develop and contribute educational and relevant content that relates to the theme of Africa under a free license. It engages with global knowledge systems by encouraging access to, awareness of, and support for open knowledge, the open movement and the Wikimedia projects. Essential to its work is collaboration with like-minded organisations. It is a financial and legal structure behind some of the global initiatives that support of the WikiAfrica movement. More amazing videos on Wiki In Africa’s YouTube channel! 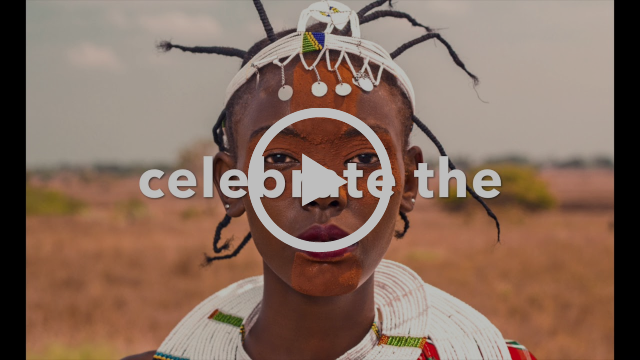 WikiAfrica projects have released some amazing videos over 2017 – WikiAfrica Schools, Wiki Loves Women, Wiki Loves Africa!! … these are now available on the Wiki In Africa YouTube channel. There are more planned, please subscribe to this channel, like the videos you like, and share them ! You can also see some of the most interesting Wikipedia /Africa related videos on the playlist. WikiAfrica is an international movement that takes place across the African continent and beyond. WikiAfrica is not owned by one organisation and it belongs to all people and organisations contributing to its scope. Since its inception in 2006 by lettera27 the WikiAfrica movement – hosted by a number of non-profit organisations and in collaboration with amazing volunteer groups – has encouraged individuals, interested groups and organisations to create, expand and enhance online content about Africa. Earlier this year, Wiki In Africa with help from Giovani at Wikimedia Italia, worked to display the amazing work that has been done over 10 years by several organisations across Africa and beyond by showing the array of projects that have been conducted by all participants in the WikiAfrica movement. After three years of activity, the Wikipedia Primary School SSAJRP programme has released a report on the project that was operated by Iolanda Pensa from SUPSI under SSAJRP support in partnership with the University of Cape Town. The project raised some interesting results, especially with regards to engaging academics and other members on reviewing and improving established articles. >> Access the full report. Over the last 3 months we attended two large global Wikimedia events: Wikimania Montreal and WikiConvention francophone in Strasbourg. Although Florence Devouard, Isla Haddow-Flood and Michael Graaf attended Wikimania Montreal, the visa problems showed just how challenging it is for many of our colleagues from across Africa to get to some countries. Their absence was noted and the Wikimedia Foundation announced that any scholarships recipients that could not be in Canada for Wikimedia 2017, would automatically get a scholarship for Wikimania Cape Town in 2018. See you there!! At Wikimania Montreal, WikiFundi was discussed as part of an offline solutions panel, as a lightning talk and as a poster, the work of Wiki Loves Women was presented, and an exhibition of Wiki Loves Africa’s winning images was displayed. Finally, Ghana’s Felix Nartey (Wiki Loves Women’s Ghana Lead) was announced as the Wikipedian of the Year!! Congratulations, Felix! >> View all the presentations here. 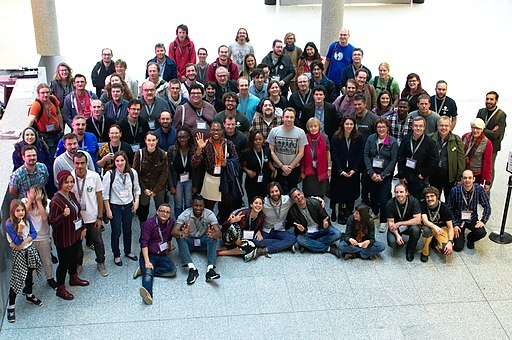 The WikiConvention francophone happened in October 2017 and took place in Strasbourg (France). Contrary to Wikimania, many of our African colleagues could join the convention and we enjoyed a happy and fruitful three days. During the convention, Florence gave a lightning talk about WikiFundi, Dominique Eliane presented Wiki Loves Women activities in Cote d’Ivoire, Jacqueline also gave an excellent talk on African specificities and consequences on the Wikimedia activities, Mahuton helped us brainstorm on contributions in West Africa, Lionel discussed the digital revolution in Ghana, and Tunisia UserGroup presented their GLAM and MedinaPedia initiatives. The photograph below shows the WikiConvention delegates in Strasbourg 2017 on the 20th October 2017 – taken by Habib M’henni. WikiFundi provides an offline editable environment that is a similar experience to editing Wikipedia online. WikiFundi allows for training on, and contribution to, Wikipedia when technology, access and electricity outages fail or are not available at all. WikiChallenge African Schools – part of the Orange Foundation’s Digital Schools Project in Guinea, Madagascar, Mali, and Tunisia. WikiAfrica Schools – a project, currently in its pilot phase at secondary schools in South Africa, that is a collaboration with the Moleskine Foundation. From 14–18 August 2017 a group of 35 offline Wikipedia enthusiasts convened at the OFF.NETWORK Content Hackathon just after Wikimania Montreal. WikiFundi took part in the hackathon along with offline reading solutions Kiwix and the Internet-in-a-Box device. The full hackathon is covered in this article in the Signpost. There has been feedback and we are keen to make some small changes and fixes to WikiFundi, to make it even more powerful. We have applied for a small grant to do this. >> If you think it is important, please pledge your support here. if you would rather want to receive the French version of this newsletter please update your preferences here.